While covering NASCAR for more than three decades it has become apparent to me that the differences between being a contender and an also-ran are often very small. Each season, some drivers and teams that came up short the previous year arrive at Daytona with high hopes and a sense that the momentum they may have built heading into the winter break is going to vault them into contention in the new season. Denny Hamlin and the No. 11 team are a prime example of that type of thinking. 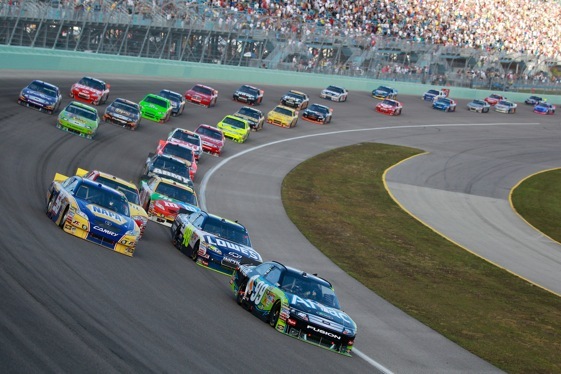 A year ago, after a decent if unspectacular regular season, Hamlin came out of the finale in Homestead as the hottest driver in the Chase for the Sprint Cup Championship and the odds-on favorite to finally end Jimmie Johnson’s unprecedented run of titles. And Hamlin did live up to his billing for most of the year, challenging for the championship right down to the final race before running second to the indefatigable Johnson. 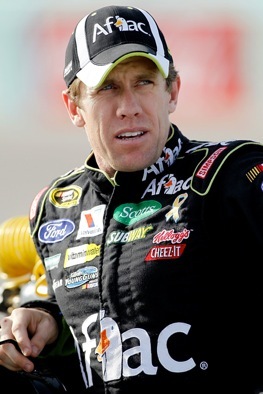 This winter, it’s Carl Edwards who came out of Homestead with the momentum and expectations of a big season in the coming year. But it’s not the first go-round for the Roush Fenway Racing driver. four and finished second, 69 points behind champion Johnson. Expectations were sky-high for 2009, but something went awry. Edwards went winless and finished 11th in the standings. This year, Edwards and the whole Roush team struggled throughout the season before finally winning some races in the late going. Edwards finished strongest of the four Roush drivers, winning the last two Sprint Cup races of the season – his only wins of 2010. A lot of the late-season success can be attributed to the emergence of the new FR9 engine, the first purpose-built NASCAR racing engine to ever come out of Ford Motor Company. Add the new power plant to the momentum from the wins at Phoenix and Homestead and Edwards is quickly regaining confidence. That’s very good news for a driver and team that suffered through a 70-race winless string before taking the checkered flag at Phoenix. Now they have a short offseason to find a way to get off to a strong start and try to find a way to knock Johnson and the Hendrick Motorsports team off the top rung, something that hasn’t happened in half a decade. Roush, who has won Cup championships with Matt Kenseth and Kurt Busch, knows what it’s going to take. If they do, Edwards could truly get another shot at denying Johnson a sixth straight championship. But it’s sometimes very hard to turn expectations into reality. Just ask Hamlin. Carl and Matt are the 2 top choices….but I think the Biff is SOOO HUNGRY……he will be extremely fun to watch this year. The big RINGER is just how good the FR9 really is…..
for the OHV Y Block…. Well it seemed like it took that long anyhow….